Confirmed: Mini-trons, Side-trons, Curve-trons, banner movies are all in during entrances. Feedback addressed! Thanks! As a long time gamer and wrestling fan, presentation and authenticity of things such as ring entrances has always been a big concern for the wrestling games I pick up, so the remark “feedback addressed” is definitely no joke. Cory also stated through twitter that details on Divas and their inclusion will be addressed on and around SummerSlam time. For those of you who don’t know, SummerSlam 2011 will be on August 14, 2011. Look forward to hearing more about the game in the upcoming weeks. 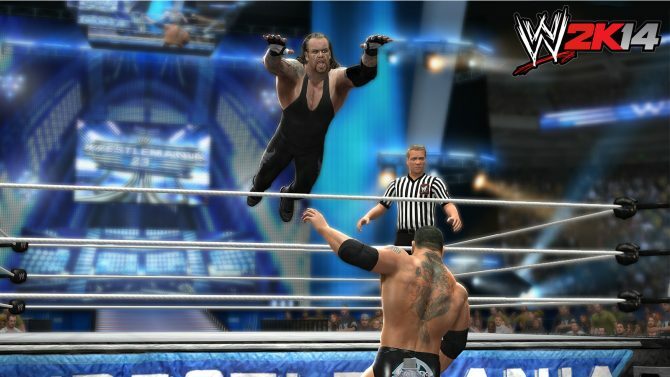 THQ WWE Community Summit – We’re There!